The initial treatment is our time to explore how your symptoms relate to Chinese Medicine and how you well you respond to acupuncture. We will begin with a face to face 20-30 minute conversation about your health history and current symptoms. I will read your tongue and pulse to even further understand the root cause of your symptoms. 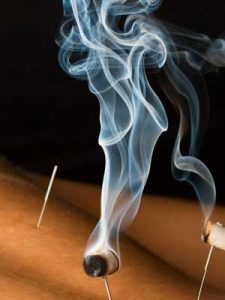 I will then alcohol the points to be needled and then I will use one-time use disposable needles to needle acupuncture points that correspond to your Chinese Medicine diagnosis. I will immediately be able to tell if you are responding to the needles. After 30-40 minutes, we will take the needles out. Very thin disposable needles are used. Depending on your primary concern, you treatment may Include cupping, gua sha, electrical stimulation, and/or moxibustion at no extra cost. Preferred acupuncture style is Master Tung, Dr. Tan, TCM (Traditional Chinese Medicine), and Kiiko style. Patient education of Chinese Medicine Diagnosis, lifestyle, and nutrition . Painless insertion technique the maximizes the effectiveness of acupuncture. De Qi sensation is maintained after insertion of the needle. De qi is a warm, tingling, heavy, or dull and achy sensation felt at the point or along the meridian. This is a direct result of your fascia wrapping up the needle and your immune system responding to the needle. Needles are adjusted if ever uncomfortable. Don’t be shy to mention any discomfort. Included with acupuncture session if necessary for best treatment results. Cupping is an ancient technique, used in many cultures, in which a special cup is applied to the skin and held in place by suction. The suction draws superficial tissue into the cup, which may either be left in place or moved along the body. Cupping brings fresh blood to the area and helps improve circulation. Traditional cupping, sometimes referred to as “fire cupping,” uses heat to create a vacuum-like suction inside of glass cups. 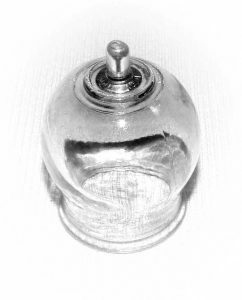 In modern times, cups that use a small pump to create suction have also been introduced.